Simple. Exceeding expectations with honesty and integrity has made us a recognized leader in the auto repair industry. We have ASE Master Certified Technicians and the latest computerized diagnostic equipment. Furthermore, our computerized automotive information system provides detailed data for your vehicles by year, make and model to ensure that your vehicle repairs and maintenance are in complete compliance with your manufacturer's warranty. Other data includes lists of "hi tech" specialty lubricants required for your particular vehicle, the latest service procedures, diagnostic information and factory issued Technical Service Bulletins. The bottom line is efficient, dependable and cost effective service for you! Whether you are in need of service on your domestic or foreign car or light truck, we're here for you. 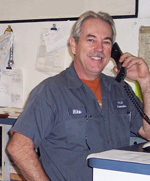 Since 1986, we have served the community with integrity and a commitment to automotive excellence! We offer a courtesy shuttle to the local area for your convenience as well. Please have a look around and call us anytime to schedule an appointment or, if you prefer, schedule an appointment online. Enjoy your day!